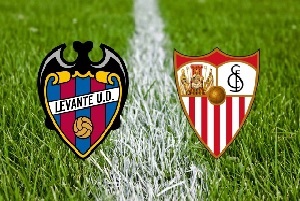 It is the 3rd round of Spain Primera Division and Levante will face Sevilla at home. Levante had a bad start, in the first round they lost against Celta. In the second round they made a draw with the newly promoted Las Palmas, but they were lucky because the hosts were a lot better than them. After the great UEFA Super Cup final, Sevilla made a draw against Malaga and in the second round they lost against Atletico Madrid. Sevilla dominated the match, but failed to score. It is the right time for them to get back on the track and win this game. I am expecting a good football from Sevilla and a prove from them that they can finish in the top 5 again this season.